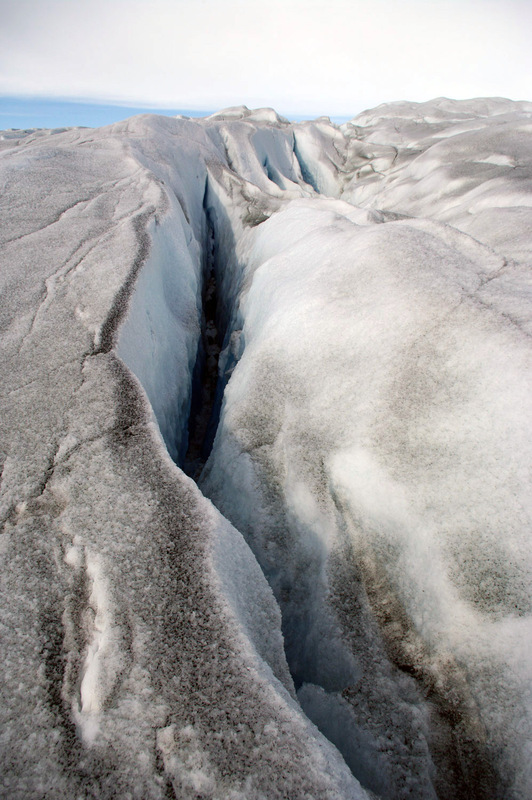 While most of the ice sheet is flattish and generally hazard-free, every now and then you get these cracks where the ice is flowing over an obstacle, so pushing it up and causing cracks. You can't see the bottom, but the cracks are ominously dark and disappear into stygian darkness below. There's also the reasonably loud sound of running water somewhere from the depths, though none to be seen on the surface or in the cracks.